Bluestreak explains his color scheme change to Hound and Cliffjumper in the least concise wordage possible. They're trying to be polite, especially Hound, but they don't really care. 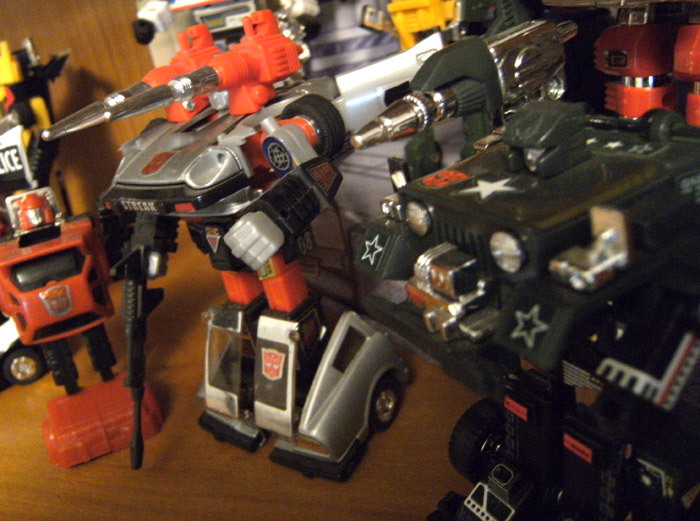 Featured: Hound, Bluestreak (Silverstreak? ), Cliffjumper.